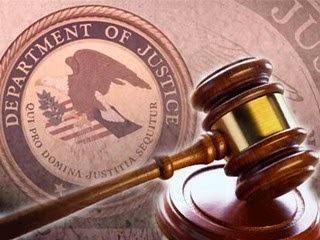 Political consultant Gregory Naylor, 66, of Philadelphia, pleaded guilty today to making false statements to federal agents and misprision of a felony in connection with his role in attempting to conceal two campaign finance-related fraud schemes. Assistant Attorney General Leslie R. Caldwell of the Justice Department’s Criminal Division, U.S. Attorney Zane Dane Memeger of the Eastern District of Pennsylvania, Special Agent in Charge Edward Hanko of the FBI’s Philadelphia Field Office and Special Agent in Charge Akeia Conner of the Internal Revenue Service-Criminal Investigation (IRS-CI) made the announcement. The plea was entered by U.S. District Court Judge Harvey Bartle III of the Eastern District of Pennsylvania. According to court documents, the charges stem from Naylor’s participation in two campaign finance-related schemes initiated by a long-time friend and former employer, identified in the information as Elected Official A. In the first scheme, Naylor helped conceal the theft of federal grant funds and private charitable funds that were used to repay an illegal campaign debt incurred by Elected Official A during a 2007 campaign for elected office. Specifically, Naylor was aware that large amounts of money from an unexplained source were being spent on Elected Official A’s campaign, and Naylor helped to conceal the source of those funds by preparing a false invoice for services rendered by his consulting firm. Naylor subsequently learned that Elected Official A and others orchestrated the theft of federal grant funds to repay the outstanding balance of the campaign debt, and he agreed to the falsification of campaign finance reports to further conceal Elected Official A’s activities. Also according to court documents, in the second scheme, Naylor conspired with Elected Official A to pay down portions of the college debt of Elected Official A’s son using federal and local campaign funds. Some of the payments originated directly from the local campaign fund, and some were illegally sourced from Elected Official A’s federal campaign election committee and passed through the local campaign fund account to Naylor. Naylor made approximately $22,000 in improper payments between August 2007 and April 2011 at Elected Official A’s request. Naylor also falsely claimed on IRS forms that the payments made towards the college debt were earned income to Elected Official A’s son for services rendered as an independent contractor to Naylor’s consulting firm. When confronted by federal agents in investigative interviews about the payments, Naylor lied on two occasions and repeated his cover story that the son of Elected Official A was an independent contractor working for his political consulting firm. Sentencing is scheduled for Dec. 2, 2014. The case was investigated by the FBI and the IRS-CI with assistance provided by the NASA Office of the Inspector General. This case is being prosecuted by Assistant U.S. Attorney Paul L. Gray of the Eastern District of Pennsylvania and Trial Attorney Eric L. Gibson of the Criminal Division’s Public Integrity Section.